Did you know it’s perfectly legal to play online poker in the United States? Most states don’t have any laws on the book that prohibit playing online for real money. It’s only illegal for a poker site to operate from the United States. But many poker players are confused about the situation. Why? Because before April 15th, 2011, millions of Americans played at poker sites like PokerStars, Full Tilt Poker, and UltimateBet. But that all changed when the Department of Justice shut down the three sites and seized their assets. Players were locked out of their accounts and they could no longer play. Ultimatebet never reopened its doors. 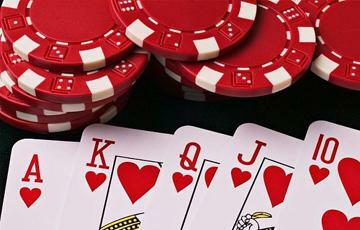 Full Tilt Poker pretty much went under, but was rescued by PokerStars, who bought them out. PokerStars, was unfazed by the shutdown. Their revenues were incredibly large by serving huge international markets, so while the US shutdown did put a dent in their profit, it didn’t squash them. But PokerStars has been shut out of the United States. While sites like New Jersey and Nevada have regulated online poker sites, their legislation has included bad actor clauses. These are clauses that say sites who operated outside the law after the passage of the Unlawful Internet Gambling Enforcement Act are not eligible to get a license. PokerStars was eventually sold to Amaya, so the old crew was no longer in charge. It took months for the New Jersey Division of Gaming Enforcement to audit Amaya, but just last week they approved PokerStars to operate in New Jersey. The online poker site has a partnership with Resorts Casino Hotel in Atlantic City and will serve players in the Garden State very soon. This is a good news story for Atlantic City and New Jersey, but necessarily a hugely good news story for PokerStars. Don’t get us wrong. PokerStars’ re-entry to the US market is good for them. It paves the way for them to enter the other states where regulation is approved. And because they have big money behind them, they’ll be able to lobby for further expansion in other jurisdictions. But the money PokerStars stands to make in New Jersey isn’t a lot. The New Jersey market is fairly small. The big money is in California, but that market hasn’t opened up yet. So what exactly is the good news story here? Well, Atlantic City and New Jersey stand to profit from a cash infusion that only PokerStars can bring. They’ll likely have a live poker room somewhere in the state (many believe it will be at Resorts, whom with they are a partner). And they’ll likely promote the hell out of the poker room across the world. You could very well see an east coast-esque World Series of Poker, albeit PokerStars branded. This could cause a surge in interest in Atlantic City and transform it from a casino town into the poker capital of the east coast. That means more money for the state, more jobs for the people, and more good news all around.